Detox drinks are a gimmick, I know. But that does not mean that I am not curious. 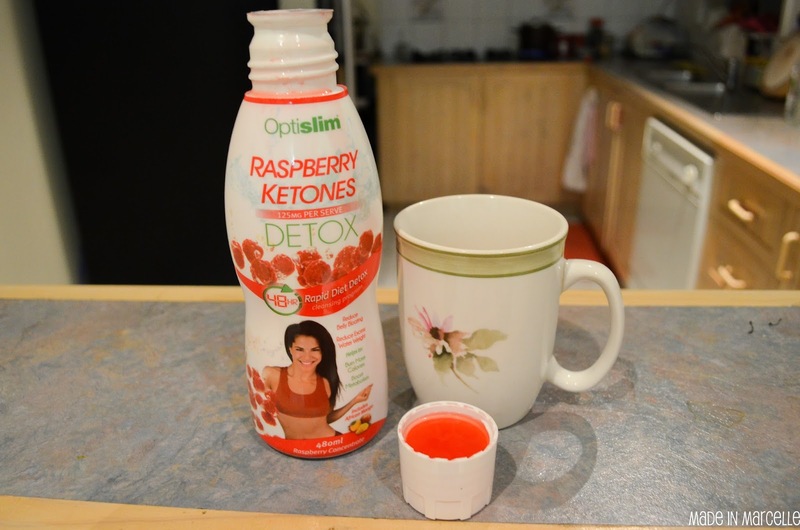 So when one of my work colleagues mentioned that she hopes this new Optislim Raspberry Ketones Detox tastes good, I immediately volunteered as a test subject. This was going to be hard because I eat a lot (as evident by my instagram) so barely eating for 2 days was going to be a challenge. Oh and I'm actually hypersensitive to a lot of fruit. So that's an extra challenge that I'm going to have to get through. 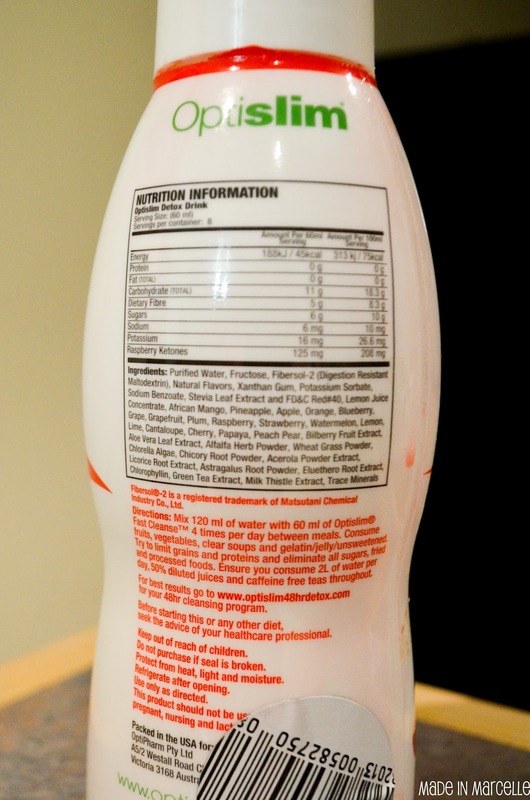 11:00am - "Mix 60ml with 120ml water"...but I don't have a measuring device. Kind of wish the lid of the bottle was the right volume. Idea! Checked it with the measuring cylinder at work and it turns out the lid is 30ml. Awesome. So 2 lidfuls into a cup with 4 lids of water. Drink time. Yummmmmm. It smells like cherry lollies bordering medicine-like. Kind of like fruit juice? That's not surprising considering the ingredients. I woke up really hungry today. I think it's because my body is just not used to eating so little. Also my lips are super dry, pretty sure this is because I overloaded my body with fruit yesterday (I swell with certain fruits). Tried it with cold water from the fridge. It tasted even better. 6:00pm: I caved so badly. I could not stick to the pure fruit diet so I ended up eating some of mum's chicken and corn soup. This doesn't fall into the recommended food guidelines of course. Did I emphasise that I was hungry? But even then, I did stick to the <1200 cal allowance. 9:00pm: All gone! I was a little sad that I now don't have an excuse to drink a sweet drink all the time. I have the worse sugar cravings sometimes. I really don't feel that much different. Still quite famished.This tasted good though? That is all that I got from it. Unfortunately the use of the drink correlated with TOM and hence it was hard to isolate the "debloating" effects because I was starting to swell anyway. The "metabolism boosting" effects are hard to assess with just a 2 day treatment. Drop in dress size? No way. It is definitely going to take a lot more than this to give such a dramatic change. Skip it. It's basically a very expensive fruit juice. 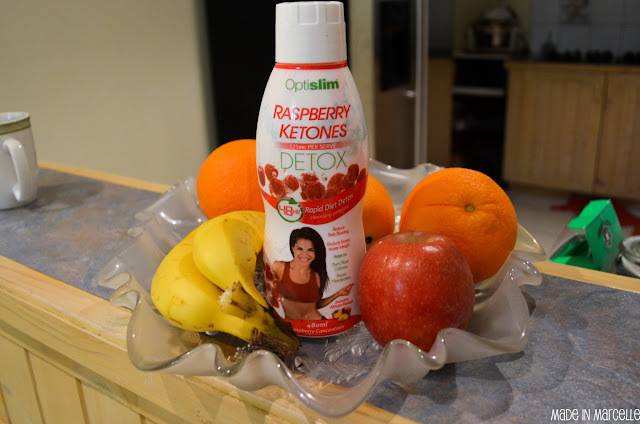 My raspberry ketones experience is great. I would love to use it more and more and I suggest all to try raspberry ketones and reduce their extra fat and calories with raspberry ketones. The advantages of Phen375 are very apparent from this Phen375 survey. Individuals are continually searching for better weight loss supplements and the time has come to surrender the inquiry. Phen375 is the best pill in the market today since you would lose weight without awful symptoms. Most pills are very forceful to the body and create unsafe symptoms at last debilitating individuals. The Phen375 audits have yielded positive inputs from clients who appear to be happy with the aftereffects of the pills. The cheerful purchasers who have profited from the item will disclose to you that Phen375 https://www.phen375purchase.com/ is the best easily. Along these lines, remembering this Phen375 audit, simply ahead and get some with the goal that weight won't be a trouble any more. Weight loss supplements are by and large intended to help dieters viably lose weight through one of a few instruments. Some of these products incorporate hunger suppressant, metabolism https://www.phenqultimate.com/ sponsors, and fat burners. They all work in various approaches to accomplish their weight loss impact.